Last year, Susan Stoker invited me to come write in her Special Forces: Operation Alpha Kindle World. I’m a fan of the lady and her writing. When she first ask, I said I would love to, BUT… Yeah, it’s always the “qualifiers” which get you. In my case, it was an overloaded writing schedule coupled with spinal issues. Still, I never forgot the invitation and as November drew closer, I found an open window of time and plunged in to write Securing Arizona. Military romance was one of my first loves when it came to writing romance. I kicked off my career years ago with Always a Marine, and other stories. 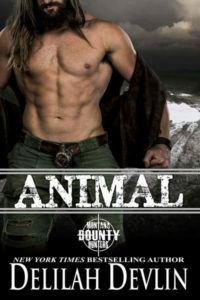 I’ve always liked lawmen, and I love my shifters, but the military hero remains special to me. There’s nothing quite like a hero or heroine who serves their country. These are people who write a blank check with their lives on the dotted line and they do it day in and day out. Some come home whole, some come home with the scars on the outside, and more come home with the scars on the inside. These are individuals are highly trained, and often have to act restrained. They are prepared for anything and everything—and when it comes to any action adventure tale or as I like to call them, love on the run, they make some of the best conflict-equipped characters, emotionally and physically. When it comes to romance, we expect our heroes and heroines to save the day, save the girl, save the guy—save everyone. We know our military characters have been trained, and trained, and have I mentioned, trained? They’re disciplined, they handle weapons, can do a threat assessment, and are usually loaded with oodles of determination to get the job done. 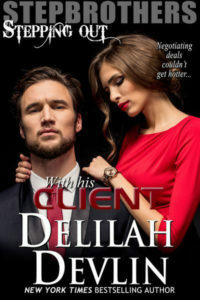 They’re also trained to compartmentalize, so when tragedy strikes as it does in Chasing Katie (shout out to the fantastic Elle James who invited me to play in her world, too), we know they are going to take an emotional hit but they won’t stay down and they won’t stop until they get their target. Throw love into the mix and it becomes a powder keg that I can’t get enough of—reading or writing wise. If you were to ask me what I love about these types of heroes (and yes, heroines) the most, I’d answer their loyalty. There’s a camaraderie developed between people who have trained together, served together, shed blood together and even if they were never in the same unit or the same mission or even in the same room before, you can put two people who served together and the respect and understanding just seems to exist. Emotional baggage comes with any life choice and career, but if you throw in a romantic history with a deadly threat and a reunion neither character ever imagined happening and the need to build trust on the fly? Then you’d have Guarding Gertrude. The best part of writing military romance whether it’s a tale of battle recovery, on the run, coming home, or featuring shifters? I get to work with some of the most complicated and best characters there are. What do you love about military romance?